Death: 21 April 1918, Byron, Wyoming. Died at age 76. Wife #1: Mary Ann “Minnie” Fisher (1844-1887) Married 1 January 1861 in the Endowment House in Salt Lake City. Erastus was 18 and MaryAnn was 15. 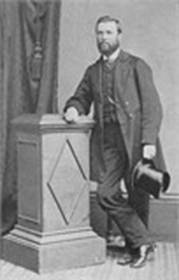 Richard Erastus (“Ras”) Egan, second son of Howard Egan and Tamson Parshley was born in Salem, Essex County, Massachusetts, March 29, 1842. He was five years of age when he came to Utah with his parents. When word of Johnston’s Army was heard among the settlers in 1858, Ras was left in charge of his father’s home with the orders to set it on fire should the soldiers enter the city. He was just 16 years old. While he was growing up, Ras had gained much experience in handling horses and cattle when he would frequently accompany his father to California from Utah on his livestock deals. That same year, 1858, Ras (as he was known throughout his lifetime) got a job with the government as a subcontractor, transporting mail between Brigham City and Salt Lake City. In 1859 he accompanied Dr. Forney, the Superintendent of Indian Affairs, to make a treaty with the Shoshone Indians that were living in western Utah. 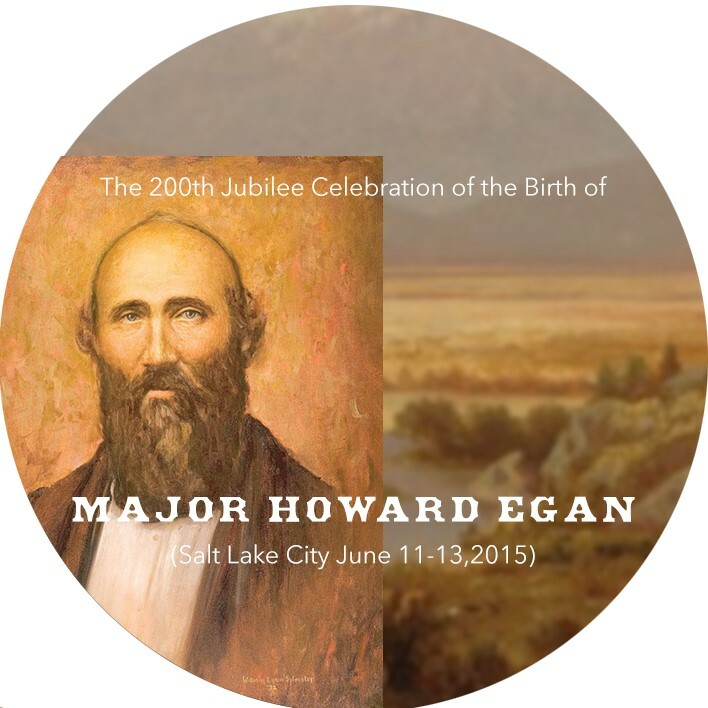 After this treaty was completed, young Egan was ordered to return to Utah bringing five head of government mules. This was a long and at times perilous journey of three hundred miles. He was accompanied by one other boy and the only provisions they had were six quarts of flour. This scarcity of food nearly resulted in death for both. 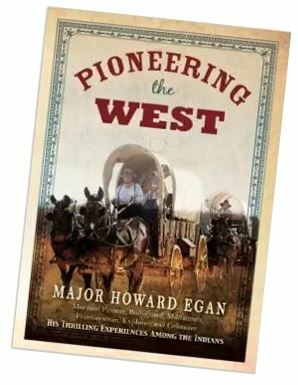 It was about this time Ras Egan was put in charge of three six-mule trains freighting and carrying mail from Salt Lake City to Carson City, Nevada. His father had purchased a ranch in Ruby Valley, Nevada and also operated stores there and in Deep Creek. Ras hauled the merchandise to stock them. 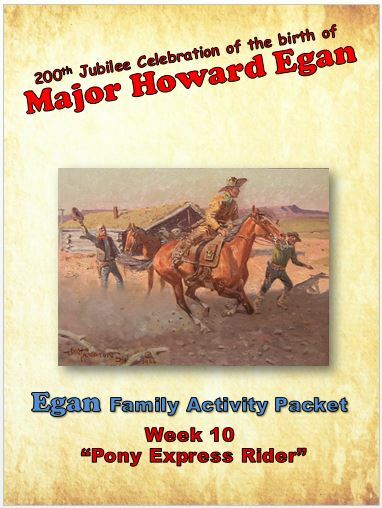 In April of 1860, the Pony Express was created and Ras’ father, Howard Egan, was assigned as the superintendent over the Utah to Nevada route. Ras was hired along with his brother as Pony Express riders, his run being between Salt Lake City and Rush Valley, a distance of 75 miles west of Salt Lake. He was then in his eighteenth year. The first mail out of Salt Lake City was carried by him on his sorrel mare “Miss Lightning,” making the first station, twenty-two miles, in one hour and five minutes. Ras was known in the Pony Express for having the fastest ride ever. The President of the US called this section of Pony Express – The Lightening Express. The scheduled time for the seventy-five miles was five and one-half hours, although it was made once in four hours and five minutes. 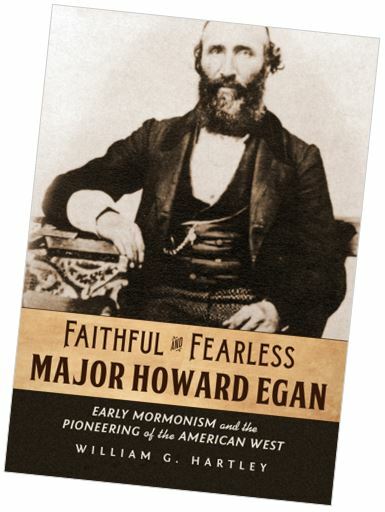 Young Egan had many harrowing experiences while engaged in his work. He also had several skirmishes with the Indians during the Pah-ute depredations in 1860. At one time he came upon a stage that he been held up and all the passengers killed and the horses stolen. As Egan pounded along the trail one of the raiders appeared armed with a rifle and bows and arrows and set out after him. At first, Ras rode just fast enough to keep out of gunshot range; then suddenly he turned and charged straight at the Indian who turned and fled. Another time his horse fell on him while he was crossing a bridge at night and he was thrown into the icy water, breaking the neck of the pony. Ras was compelled to walk five miles carrying the saddle and heavy express material back to the station where he could obtain another horse. 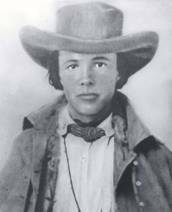 Ras Egan married Mary Minnie Fisher January 1, 1861, just nine months from the day he took his first pony express ride out of Salt Lake City. 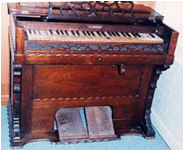 For a wedding gift Ras’ father presented them with a Melodeon – a organ type instrument which was a luxury to have in those days. It was the only instrument of its kind in the community and people in the town would come by to practice on it. For about two years they made their home in Salt Lake City while Ras continued to ride for the Pony Express. 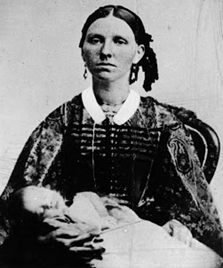 Ras and Minnie had their first child, Erastus Howard Egan, in 1862, and then a girl named Tamson Minnie on March 2, 1863. While Tamson was still a baby, they moved to Ruby Valley (now in Elko), Nevada, where Ras’ father, Howard Egan, was in charge of the Ruby Valley Pony Express Station. While there, Ras worked as a rancher. The station was a two-room log cabin with a dirt roof. One room was used for the family living quarters; the other part was used for a store and commissary repair shop and mail station. For light they used the home made candles; a very crudely built fireplace furnished warmth and light. Ras took care of this station which was used as a trading post. On this ranch they raised pigs, chickens, and mostly milk cows. Most of the milk was set in milk pans allowing to stand, then the cream was skimmed off with a hand skimmer. The cream was churned in an up and down churn, and the butter was packed in forty-gallon barrels and shipped to Erueka, Utah and was sold for 50 cents per pound. They hired Indians at low wages to help about the ranch. Indian squaws could be hired to wash on the board all day for 50 cents. Two boys were born at Ruby Valley, Erastus Howard (September 10, 1864) and Harry Olson (October 20, 1866). About 1868, Ras was called on a three-year mission to England for the L.D.S. Church, where he served as President of the Birmington Conference. When he left, they leased the ranch and Minnie, pregnant with her fourth child, moved with her three small children to Bountiful where she lived with her father Thomas Fisher. Shortly after Ras left, Minnie’s father built her a six-room brick home on a lot adjoining the Fisher home in South Bountiful. When the home was completed Minnie moved in and waited for Ras’ return. During his absence she taught eyelet work class in her home, and the money earned in this way was sent to her husband to help support him while he was in the mission field. At the end of three years, Ras was released from his mission and returned home as far as Ogden, on the first train that came this far west. He was met by his small son Ras, and his father-in-law, Thomas Fisher, and they drove the rest of the way to Bountiful in a carriage. After his return, the Egans rented their home, and went again to Ruby Valley where Ras took up farming and stock raising until 1877. Returning to Bountiful, he engaged in sheep raising, being instrumental in organizing the Bountiful Livestock Company. 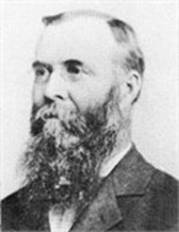 For two terms he served as Justice of the Peace of Bountiful and in 1889, was made Assessor and Collector for Davis County, serving ten years in that capacity. He also served two terms on the City Council in Bountiful. 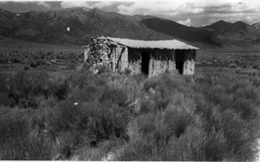 Soon after his return they rented out the home in Bountiful and moved back to the Ruby Valley Ranch where Ras took up farming and stock raising until 1877. While they were in Ruby Valley, Minnie gave birth to the following children: John Leroy, October 3rd, 1870; William Fisher and Willard Richard (twins), on April 5th, 1872; Joseph Ransom, September 7, 1874, who died at Ruby Valley Ranch and was buried there; Ira Irvine, September 17, 1875, was born next. 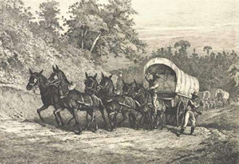 In 1877 they started their journey back to Bountiful, with teams, wagon and cattle. When they reached Tooele there was such a bad storm that they put Minnie and the three smallest children on the train to go on to Bountiful, while the rest stayed with the teams and cattle. They moved into the new home once more and Ras took up farming and gardening. Soon after they arrived in Bountiful a baby girl was born who died at birth and was buried at Bountiful. Ras had bought some farming land to the north of Bountiful, the place now known as Clearfield, where he provided for his family. At the time of the nationwide diphtheria epidemic, Harry who was then twelve past, contracted the dreaded disease and died. Horace F. also took ill but was nursed back to health by his father. Minnie fell ill during this time and was never completely healthy again. Due to the state of Minnie’s poor health and their large family, she had lots of help. The rest of their sixteen children were born in Bountiful as follows: Linnie Jane, February 25, 1878; Mary Adelaide, February 5, 1880; Charles Merritt, August 27th, 1881; David July 13th, 1884; a baby boy born December 1887 who died. He was also buried at Bountiful. Two weeks after giving birth to her last baby – who did not survive – Minnie passed away never fully recovering from labor and delivery of the baby. She was 43 yrs old, had 16 children and had been married for 27 years to Ras. Ras was called and set apart as bishop of the South Bountiful Ward in January, 1893. 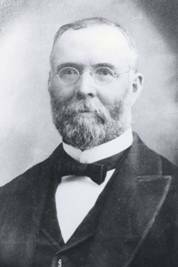 He and his counselors Joseph Hogan and John Perry Benson, were ordained and set apart on that date by Apostle Abraham H. Cannon. Two years after the death of wife, Mary Ann “Minnie” Fisher, he married Mary Beatrice Noble on July 10, 1899 in the Logan Temple. They had six children together. In 1905, he took his second family, also two married sons and families of the first wife, to the Big Horn Basin in Wyoming to establish homes. Soon after, he was set apart as a Patriarch, which position he maintained until his death on April 21, 1918. Interment was in Bountiful, Utah.